Can you give an approximate weight and price? Gruppe-S' EVO w/ 18x9 +35mm offset Enkei NT-03RRs!!! weighs only 16lbs!!! siick! Does anyone know if Mille Miglia MM11-2 17"x8.5" Offset 35mm, with 5x114.3 bolt pattern fit the EVO ? Last edited by Gruppe-S; Feb 21, 2004 at 10:21 PM. 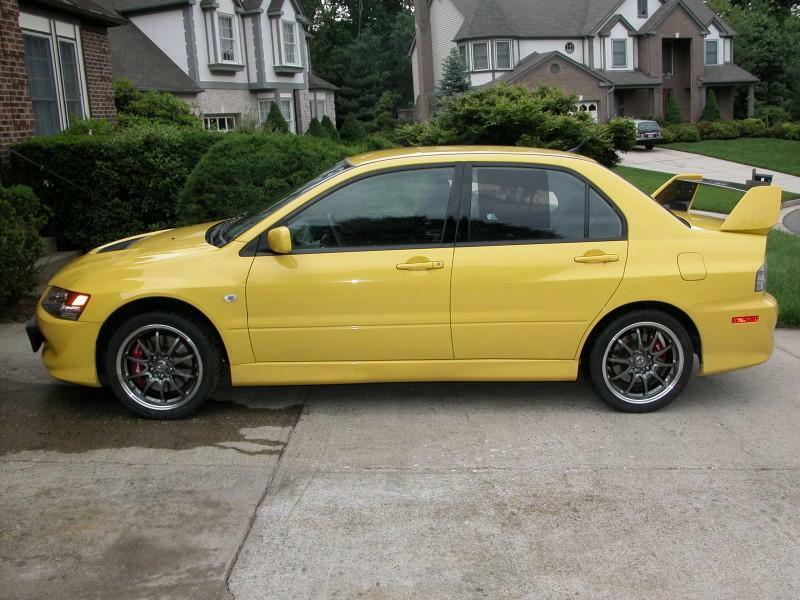 will a 19x8 inch rim fit the evo? Yes. Use a 235/35R19 tire. Wondering if Motegi DPK's 18'' will fit? Was told by one company they will, but don't trust. How about ADR 19 inch M Sports. Anyone know if they fit? How much do they weigh? Volk TE37s, forged only 20 lbs. each, in bronze 19 X 8.5 with 29 offset. Hey TrskitEvo8, Motegi DPKs will not fit at all. They will not clear the Brembos. I allready tried and had to ship them back, expensive trial and error on my part. 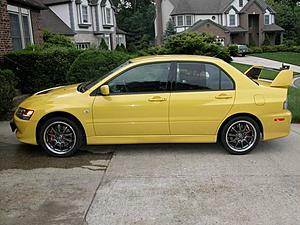 Does anybody know if the Racing Hart C5's fit on the evo? Enkei has RPF1 in 17x8 and 17x8.5. I'd prefer to get the 8.5 but different vendors suggest different offsets and I so I don't know who's correct. Should it be 30 or 40? According to my calculations 40 should fit but I don't know if they clear the brake calipers.